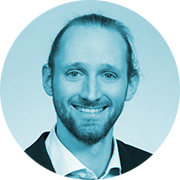 Matthias Zeppelzauer is a professor and senior researcher at the St. Pölten University of Applied Sciences since 2013. From 2011 to 2013, he was a postdoctoral researcher at the Interactive Media Systems Group at the Vienna University of Technology. He graduated with Master of Sciences at Vienna University of Technology in Computer Science and Business Informatics in 2005 and 2006, respectively, and holds a PhD in Computer Science from the Vienna University of Technology. His research focuses on content-based audio and visual retrieval, social media analysis, computer vision, and machine learning. He is a lecturer for undergraduate- and graduate programs with an emphasis on multimedia. Matthias Zeppelzauer received several performance scholarships from the Vienna University of Technology and was awarded by the Austrian Computer Society for outstanding achievements in the area of pattern recognition.